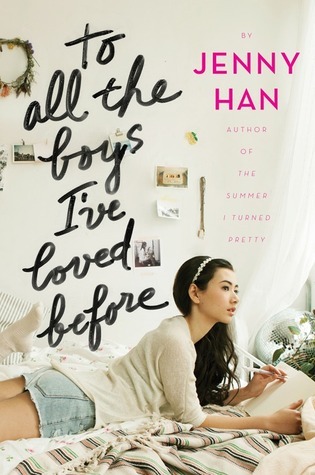 When I read the synopsis for To All The Boys I've Loved Before, I thought it was going to be this crazy fun and hilarious read. I thought Lara Jean was going to be having like fifteen different guys begging on their knees for her, professing their love. I expected some hilarious shenanigans would then ensue, but this did not happen. Only three boys actually received letters and they did not go crazy over her. The book turned out to be much more tamed and serious then I expected. I still liked the book, it is just a big book pet peeve of mine when the synopsis leads you in the wrong direction. I personally thought the book focused a lot more around family and family dynamics then it did Lara Jean's love life. I thoroughly loved the family dynamic though. This is one of the first books I have read where each member of the family is a fully developed character. I loved all the scenes with Lara Jean, her little sister Kitty, and their dad. I actually did not like her older sister Margot though. She really frustrated me and I personally thought she did nothing good for Lara Jean. The characters were fully developed but I actually did not find myself drawn to many of them. I found Lara Jean did not have much of a personality and that made me struggle with the books at times. The only two characters I liked were her sassy little sister Kitty and her love interest Peter. Peter was by far the stand out character in the book. When you read this book you will get to the last page and be like, wait......that is how the book is ending! But do not worry there is going to be a second book! This ending will be resolved and we will see more of Peter and Lara Jean! Overall I liked this book. I enjoyed the relationship between Peter and Lara Jean and found the family focus very refreshing.